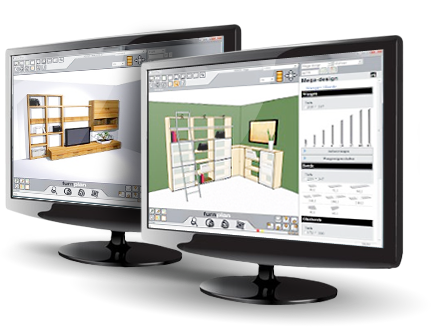 furnplan provides you a license for the whole furniture store. For 80,- EUR / monthly are all installations in the furniture store and all available manufacturer catalogs included. Regular catalog and software updates are also included in the license. Unbeatable! 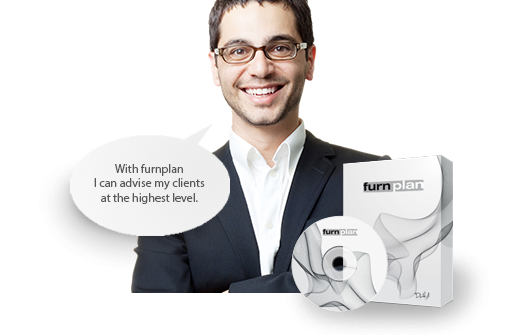 Around the world more than 3.000 furniture retail locations already working with furnplan. Furnplan “speaks” following languages ​​without any accent: English, Italian, French, Dutch, Russian, Chinese and German. You can cater for individual customer wishes and provied them with detailed advice at all times because of the flexible way of planning projects. The true-to-scale graphic representation of products ensures that planning projects becomes a visual experience for the customer! Because of its complex planning logic, furnplan “thinks” for you and automatically takes care of many of the planning steps as well as the price calculations. You save valuable time because of the considerable shortening of the actual planning process, quick order processing by e-mail an fewer queries from the furniture manufactuerers!